I know, I know. It's still fall, but we can never be too prepared for the winter times that will fall upon us (sooner than we think). Blizzards, ice cold wind, snow ... The weather conditions during winter affect our bodies hard time; just think dry hands and busted lips, to name a few. 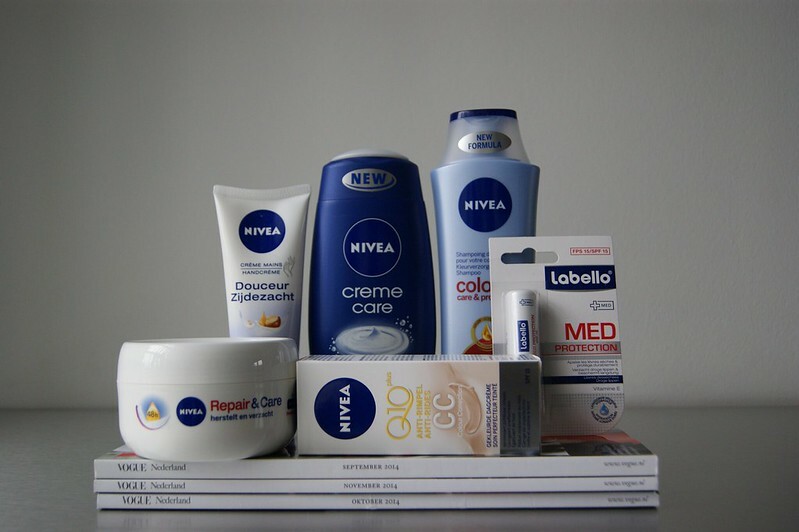 Nivea knows, so they decided to create a winter survival kit focusing on the skin, lips and hair. One of these kits were delivered at the Shark Attack office (which is actually still my kitchen table / couch, but it just sounds so fancy) and I couldn't be happier. My skin has been a mess as long as I can remember and it's extremely sensitive, so I have to take extra good care of it. I'm planning on testing these products when winter is doing its thing on full force (obvioiusly), but I thought it would be fun to already show you which products are recommended by Nivea. And who knows, maybe you'll find something interesting to try out yourself. What's your beauty routine during winter? I'd love to hear your tips. 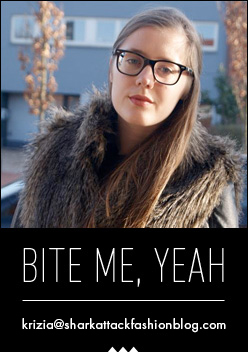 I think we all had to deal with dry and busted lips during winter at least once; and it can hurt like a *beep*. 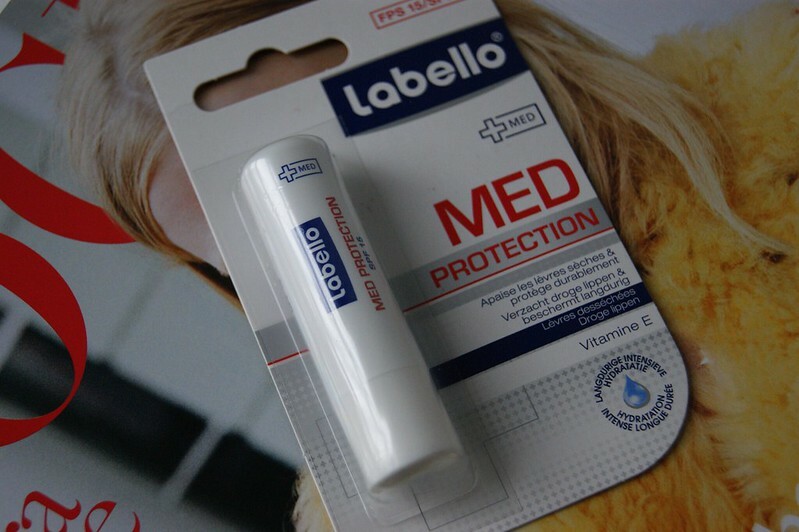 The Labello Med Protection lip balm equals a hydrating formula with Vitamin E and Hydra IQ, which will soften and calm damaged lips immediately. 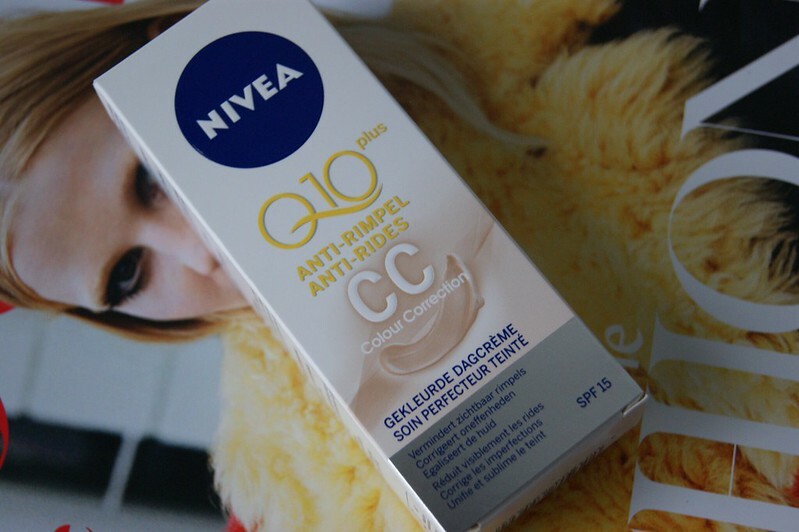 Probably the product that I'm most excited to try out: the CC Cream Q10 Plus. I must admit that I never tried out a CC cream before, so I'm very curious to see what it will do to my skin. 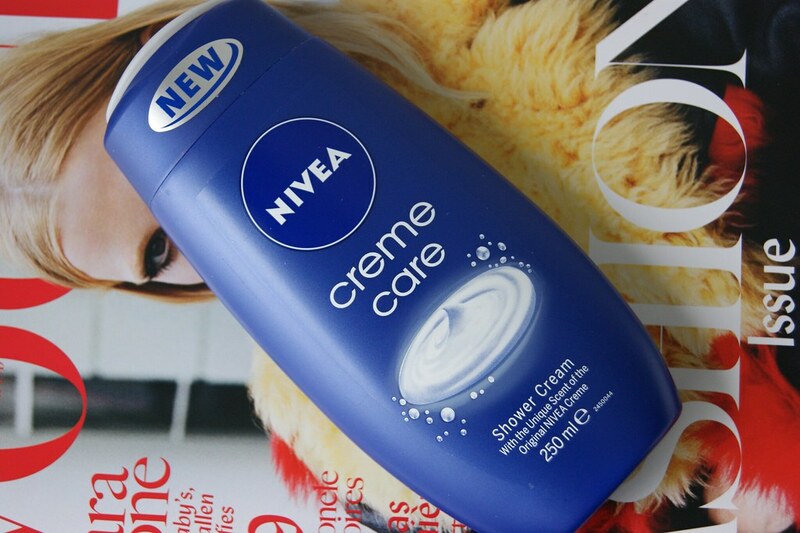 According to Nivea, this one will "thoroughly hydrate the skin, correct the skin tone and remove wrinkles visibly". I hardly notice any effects on my hands during winter, but I do know that tons of people suffer from extremely dry hands with painful consequences. The Silk Soft Hand Cream contains macadamia nuts and Vitamin B5, which will soften, repair and nurture the hands immediately, leaving your hands supple and soft again. After taking a shower, I always try to pamper my body with a body butter or a body cream. 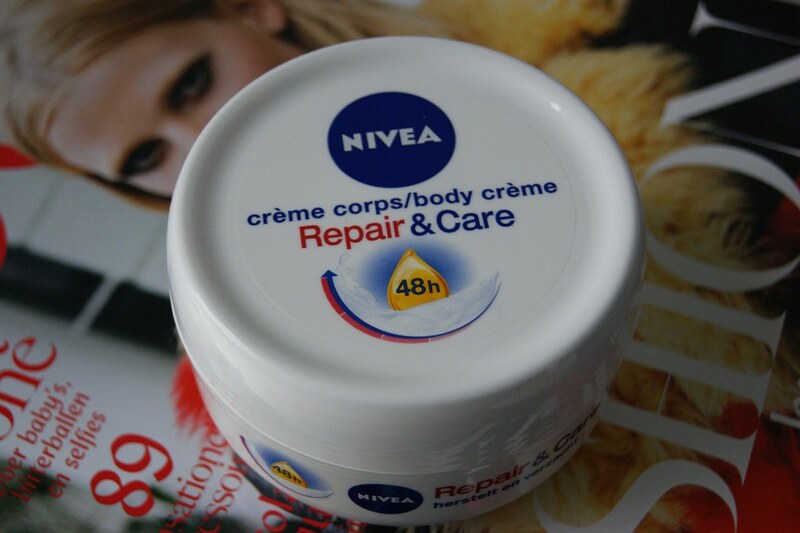 So the Repair & Care Body Cream will definitely come in handy! I tend to have very dry skin on my legs during winter, so I'm very curious to see if there will be a difference. The cream contains Urea, which is a natural feeding component, which will provide a smooth and soft skin. 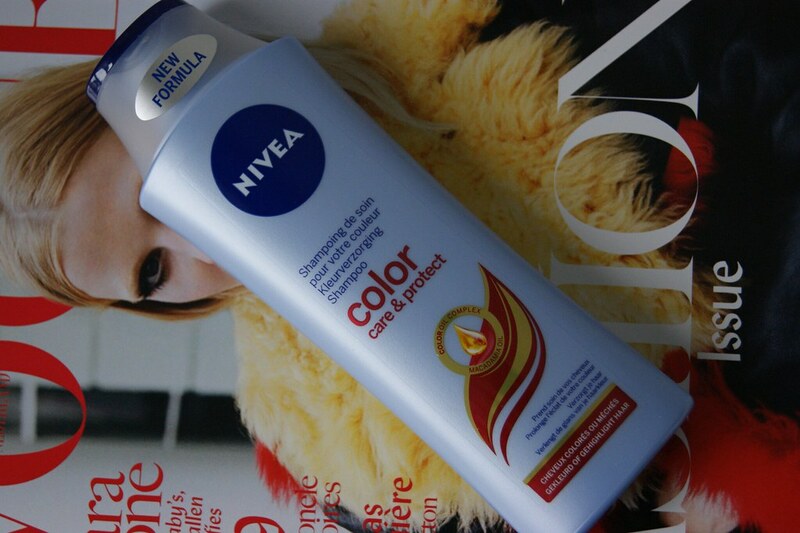 Dyed hair needs a custom care routine during winter (and summer as well), so Nivea suggests the Color Care & Protect Shampoo. The Color Oil Complex in combination with fluid Keratine is said to keep your hair strong and will keep your dyed color in mint condition. These products were sent to me by a PR company / brand. This does not affect my opinion in any way. Ik zoek een goede handcreme dus ben wel benieuwd naar je review! 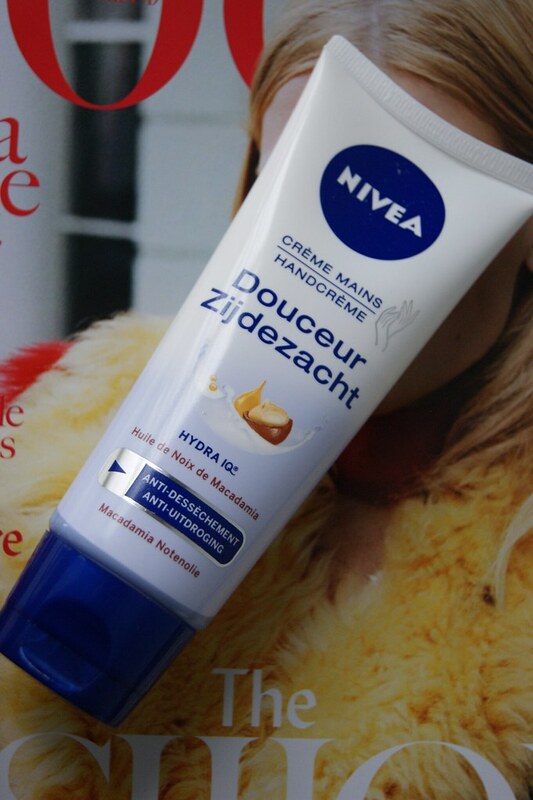 Ik ben ook erg beniewd naar de CC creme! These products are really good, skin saver in the Winter!